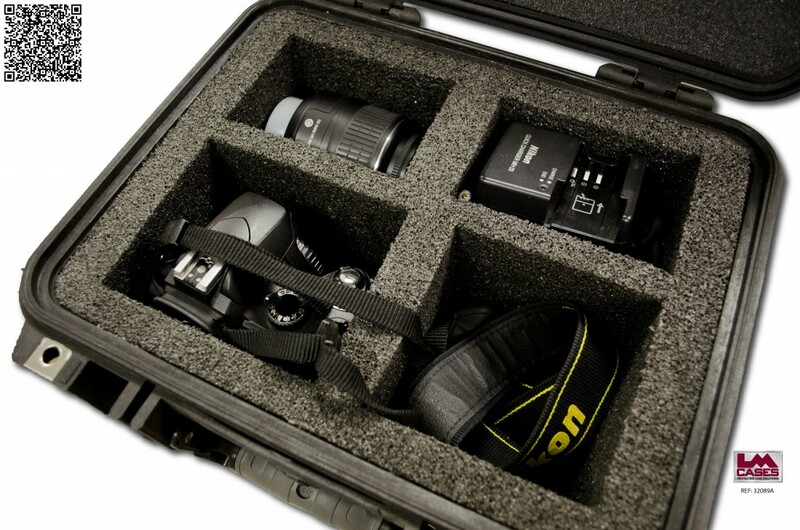 This case was designed to hold a Nikon D60 camera and accessories. 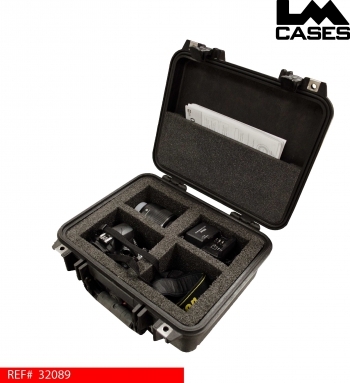 The case features 4 separate storage compartments for the camera body, lens, charger, and accessories. The case also features a storage pocket in the lid for any manuals or paper work. The insert and top storage pocket were cut on our CNC saw to perfectly integrate into the Pelican 1400. Pelican cases are water proof and feature a lifetime guarantee! Can it get any better than a Pelican case with an LM foam insert? We think NOT!